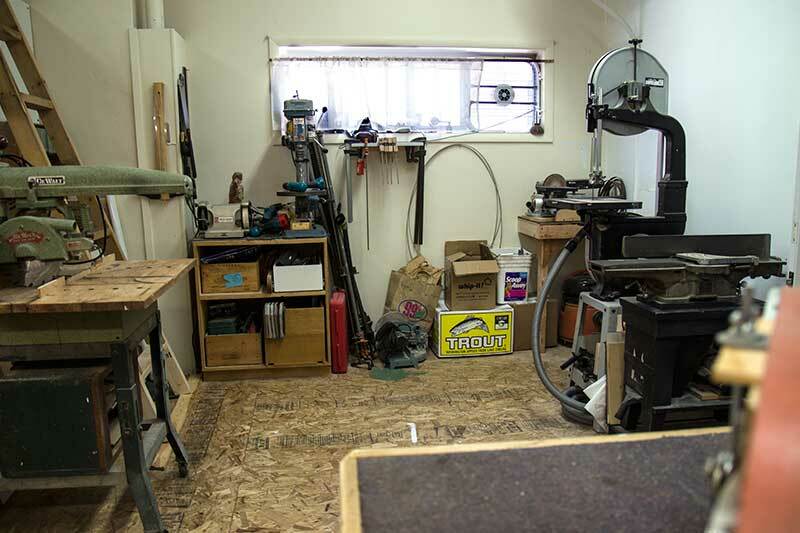 The business corner of the old workshop. 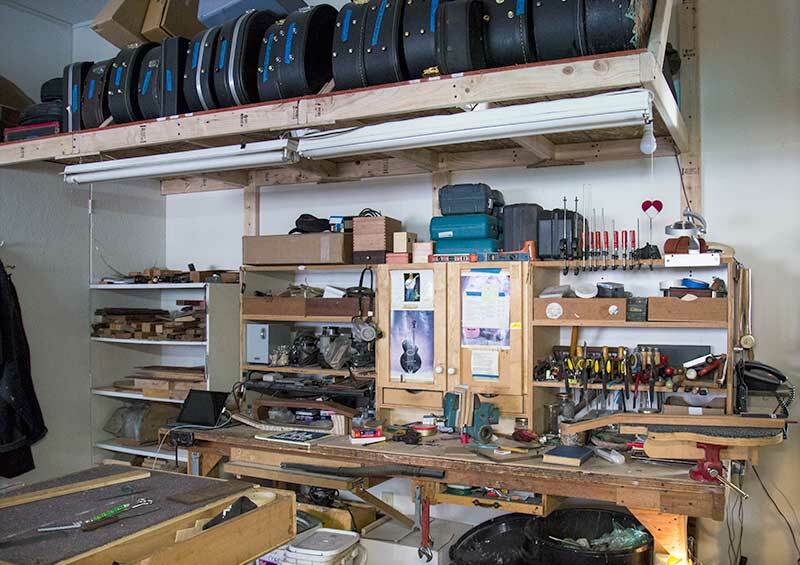 Four years ago Oola and I traveled to the tiny luthier shop of Wildcard Guitars in Oakland, CA. 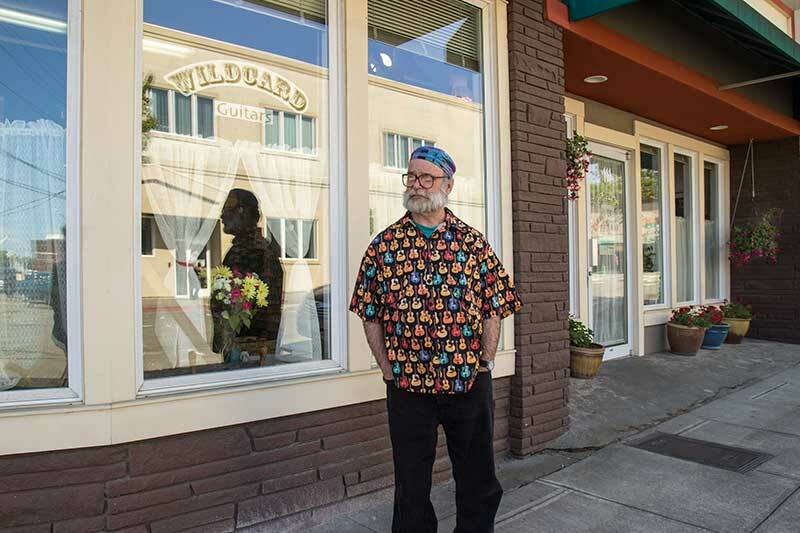 Since then Wildcard (Steve Card) has moved to Port Angeles, WA ( where the world is clean, quiet, friendly, affordable, spacious, polite, smart, beautiful, uncrowded, capable, curious…) and he opened his shop there. Here’s a peek. 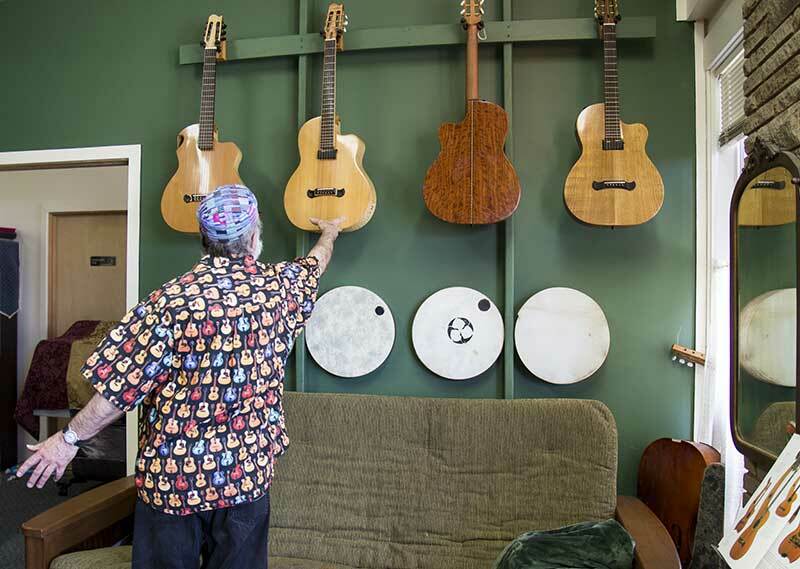 One corner of Wildcard Guitar’s show room/Pickin’ Parlour with a couch and magazines for weary guitar widows. 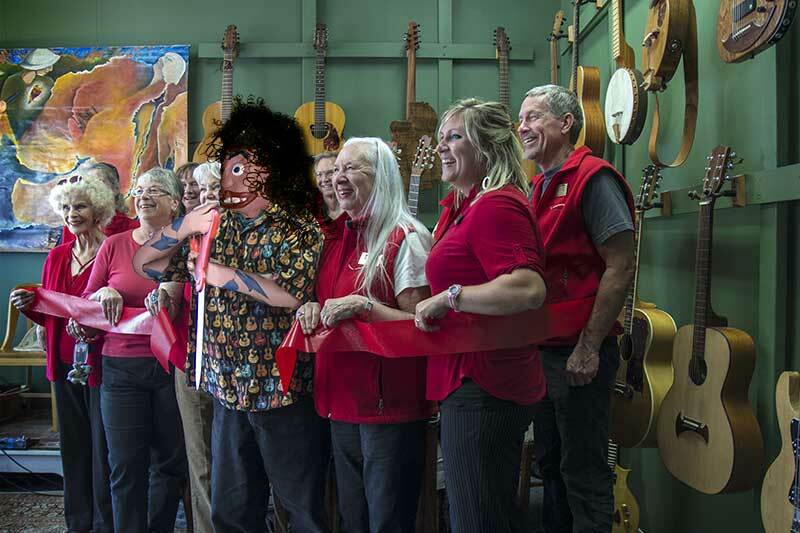 Here’s the other side of the show room, with Port Angeles Chamber of Commerce doing a ribbon cutting. Oola was fascinated by those big sharp scissors. No one seemed to mind. Wildcard Guitars flowers in the display window. One of Steve’s Canadian neighbors brought by a bouquet of flowers and a bottle of champagne in welcome. The champagne was soon polished off, but the flowers seem to catch the eyes of passersby, so Steve continues the habit. People like their flowers here. Hard to grow tomatoes though. Moving right along, there is much more room for Steve to work. 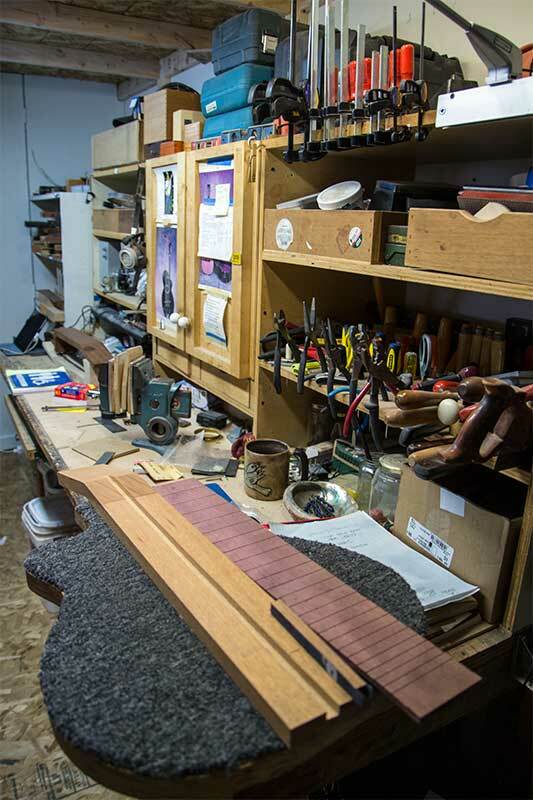 Above is a neck and fingerboard for a new commission. You see the slot carved out for the truss rod. Because of the rain and humidity Steve built an 8ft. x 8ft. 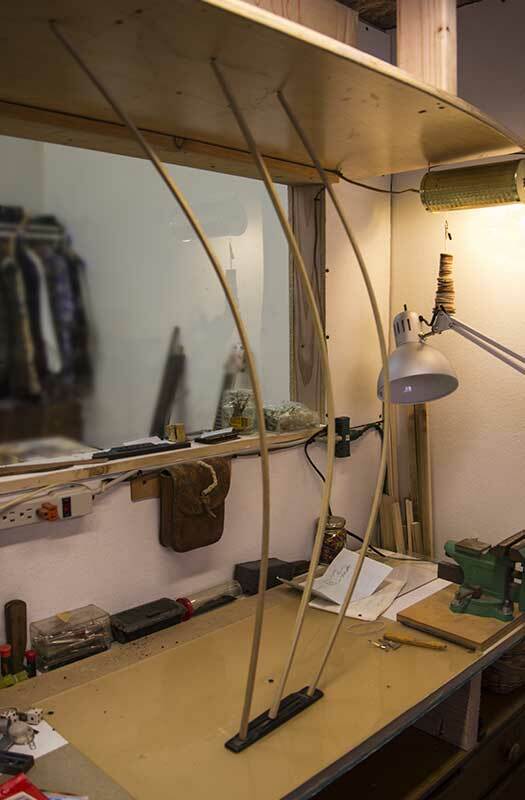 “box” inside his workshop to keep his wood from distorting, and to get good glue joints. He demonstrated how the Go Bars might be used to glue a bridge to a guitar top (you have to imagine the top). Steve has so much space now he calls it “Palatial!”. 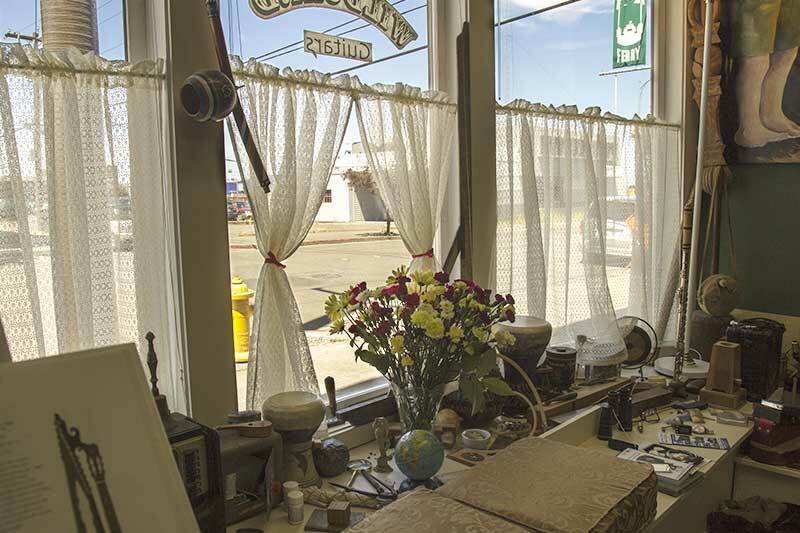 Call for an appointment and Steve will be sure to greet you in person. also serve homosapiens; maybe neanderthals too. Good to see the neck of the new commission. May many more come your way.